The Atlantean Empire rules most of the western half of the Land, controlling hundreds of human city-states, kingdoms and small countries through economic, political or military force. The modern Empire is ruled over by Emperor Nujarek, appointed to the throne of Atlantis in 432 Tz by Prophet-Magus Osiras of the Atlantis Guild. While the mages once were the undisputed rulers of the Empire, with Nujarek’s sudden ascension from Guild puppet to respected Atlantean leader, what role the Technomages will play in leading the new Empire is uncertain. 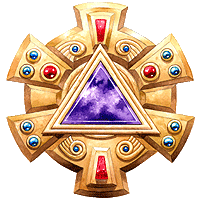 Grand-Magus Tezla founded the Atlantis Guild more than 370 years ago to unify all forms of magic. Until Tezla’s time, Elementalism and Necromancy were opposing powers, and a mage could hope to only master one. Tezla, against all odds, mastered both schools and created Technomantic magic by harnessing the magical power of Magestone. With armies of Technomantic mages, war Golems and troops armed with magical weapons, Tezla’s Atlantean Empire quickly expanded throughout the western half of the Land. Today the Empire sprawls across thousands of miles and contains most of humanity under its rule. At the heart of the Empire lies the floating city of Atlantis, held aloft 500 feet above the ground by dozens of house-sized blocks of enchanted Magestone crystal. The floating city is the heart of the Atlantean Empire, and is the home to the most powerful human warriors and mages in the Land. While each of the Empire’s dozens of client-states has its own rulers and royalty, every loyal Atlantean leader has a powerful Guild Magus acting as an “advisor” on their day-to- day affairs. With the aid of fanatically loyal soldiers, war Golems and Technomantic inventions sent from Atlantis, these “advisors” maintain control over the leaders of the client-states with an iron fist, ensuring that the loyal “governors” play their part in maintaining the glory of the Empire. 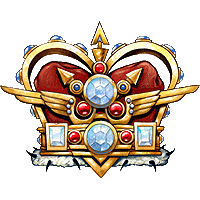 However, as a recent development, under Emperor Nujarek’s order, military advisors are also being sent accompany the mages to ensure that the representatives of the Atlantis Guild does not overstep their authority. 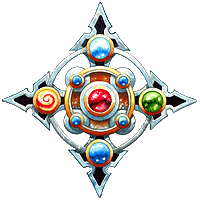 Because the might of the Atlantis Guild is fueled by Magestone, whenever a new deposit of Magestone is discovered the Guild dispatches troops and mages to conquer the area as quickly as possible. Anyone who gets in their way is imprisoned, enslaved and set to work in the mines—a dangerous and often fatal job. Even with Emperor Nujarek’s ascension to power, both Nujarek and the Technomancers grudgingly recognize they must work together in order to continue the flow of Magestone – and thus the Empire’s survival. With the full coronation of Emperor Nujarek by the Avatar of Tezla, the one-time puppet of the mages of the Atlantis Guild now stands as a true ruler of the Empire, leading all of humanity to a destiny of conquest and victory! Lost Battles: The series of near losses throughout the previous years at Wolfsgate, Fort Wyndham, and Prieska – largely believed to be the result of mages meddling in the war-plans of experienced generals – plays a large part in the Empire's transition. Resisting Temptation: Emperor Nujarek refusing the Solonavi's offer of conquest of the Land – in exchange for favors to be named later – makes Nujarek seem to be a man of heroic honor and integrity to many the citizens of Atlantis. His coronation by the Avatar of Tezla, with Tezla placing his own crown on Nujarek's head, stands as a turning point for the warriors of Atlantis. Broken Morale: Prophet-Magus Osiras' order for the Atlantean army to etreat from Wolfsgate to defend against the incoming Orc attack stands as a remarkably unpopular decision. Aside from earning the bloody wrath of the Elven Lords – who lost an entire army at Khamsin as result of the Atlantean betrayal – many of the disenfranchised Atlantean warriors jumped at the chance to join with Nujarek's Imperial Legion. Hand-chosen by the Emperor himself, the Imperial Legion is led by a group of trusted generals and warriors who loyally fought alongside Nujarek throughout the last fifteen bloody years of battling the Revolution. As veteran warriors, armed with the best Technomantic weapons the Atlantis Guild has to offer, the Imperial Legion is rapidly becoming the crushing fist of the Empire. As General Volkare is fanatically loyal to Emperor Nujarek, the Imperial Legion serves the Emperor’s will, ensuring that Nujarek keeps control away from the greedy Technomancers. Volkare is going to work hard to keep the mages politically in check, and will do his best to ensure that generals decide military strategy, rather than the mages of the Guild. Constructed of the brightest minds in the Empire, the Golemkore is a combination of a top-rank strike unit and a golem factory. Capable of stripping down and retrofitting Technomantic Golems on the field, the technicians and mages of the Golemkore create a reliable and deadly force that any of the Land’s armies will regret tangling with. Established by Tezla himself more than two hundred years ago, and very loyal to the mages of the Atlantis Guild, the newest leader of the Golemkore, Magus Anunub, ensures that the Golems created and maintained by his armies are the best they can be. The Golemkore operates independently of Emperor Nujarek’s desires, and Anunub refuses to bow to the Emperor’s desires to turn the Golemkore into his own personal army. Anunub works hard to take back the authority the mages lost to Emperor Nujarek, but will not stoop to underhanded tactics to win his battles. The Golemkore will simply outperform and outshine any other Imperial unit on the field, and show that the Empire is best ruled by those born with the gift of magic in their blood. As Emporer Nujarek continues to tighten his control on the Atlantean mainland, many technomancers who were mainstays of the Atlantis Guild have moved their libraries and workshops to the island of Delphane. Dependent on the empire for a continued supply of magestone, the technomancers still answer the Emporer’s calls to arms. 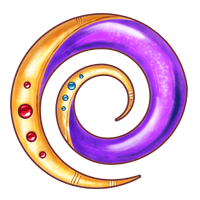 However, Guild traditionalists under the leadership of Magus Alment Lan now subtly declare their true loyalty by calling themselves the Delphana. For now, as the Delphana bring ever greater power to the battlefield, Nujarek excuses their disrespect– but both Emporer and Magus know that with ever-greater power comes an ever-greater chance that the mages will try to retake the throne.